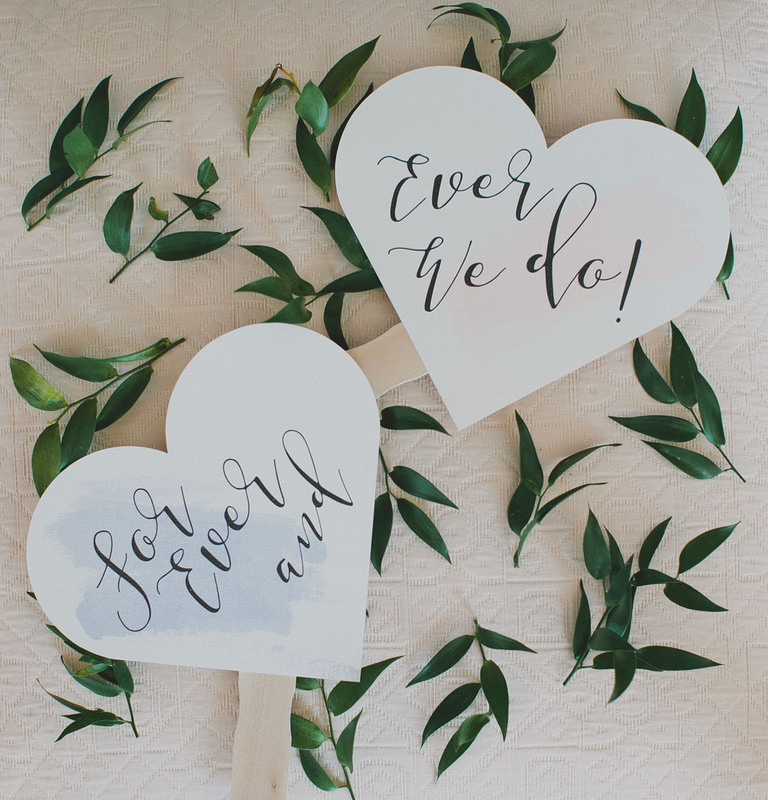 Drawing inspiration from the subtle, diffused shades which were named the Pantone Colors of 2016, Rose Quartz + Serenity, today’s styled shoot is romantic enough to have us feeling those sweet Valentine’s Day vibes + practical enough to inspire many spring + summer weddings to come! 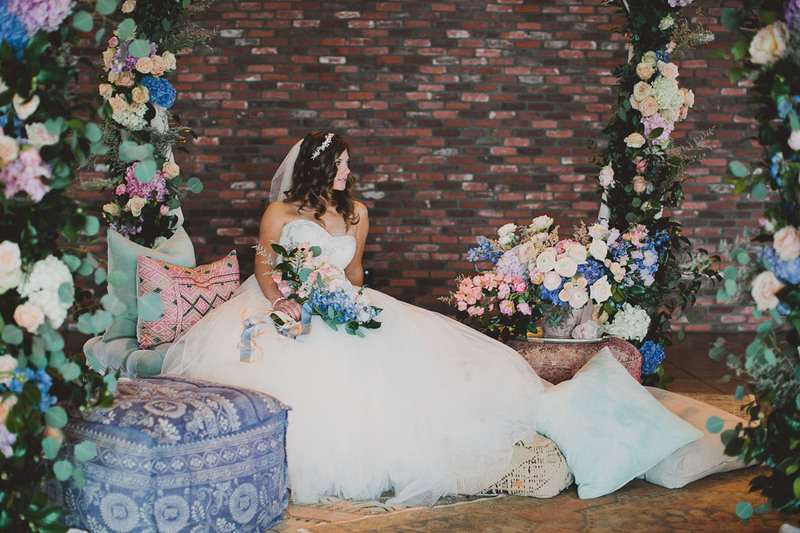 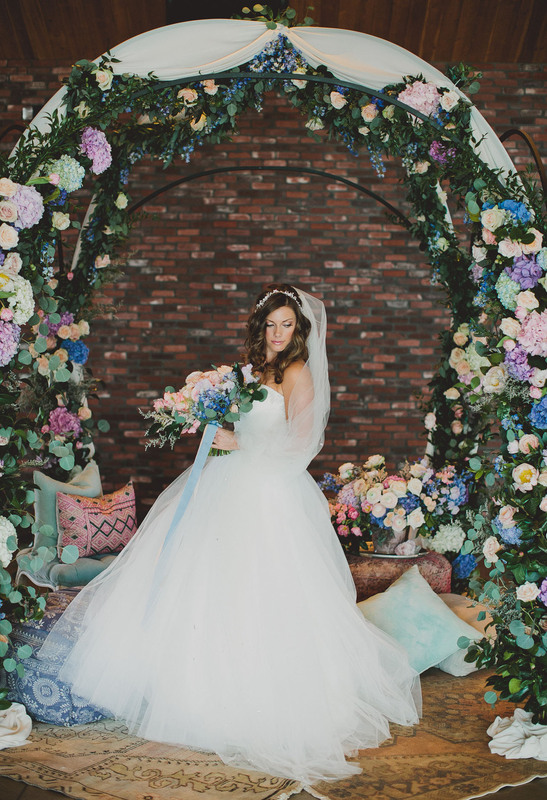 Adrienne of The Bloom Of Time designed the dreamy setting, set against the backdrop of The Colony House in Anaheim, California. 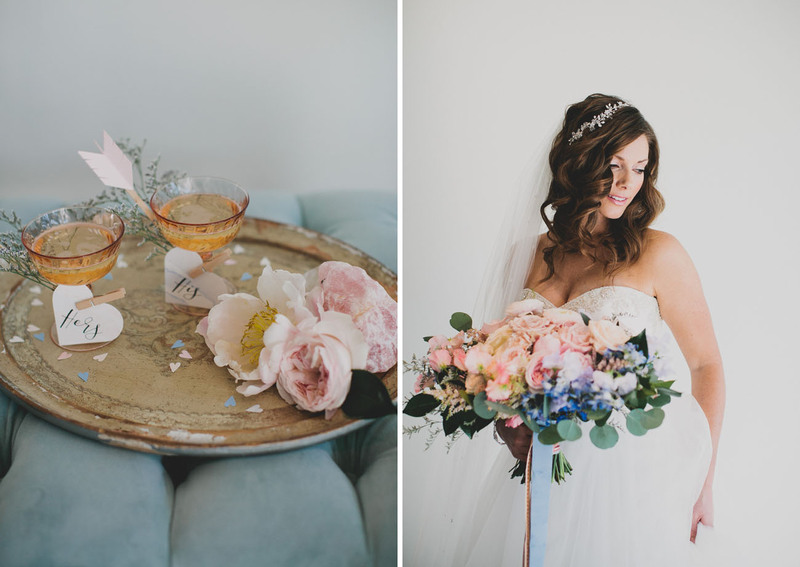 She shares, I love the mood that the two colors together provide, so we went for a whimsical theme with lots of fluffy, softly textured details. 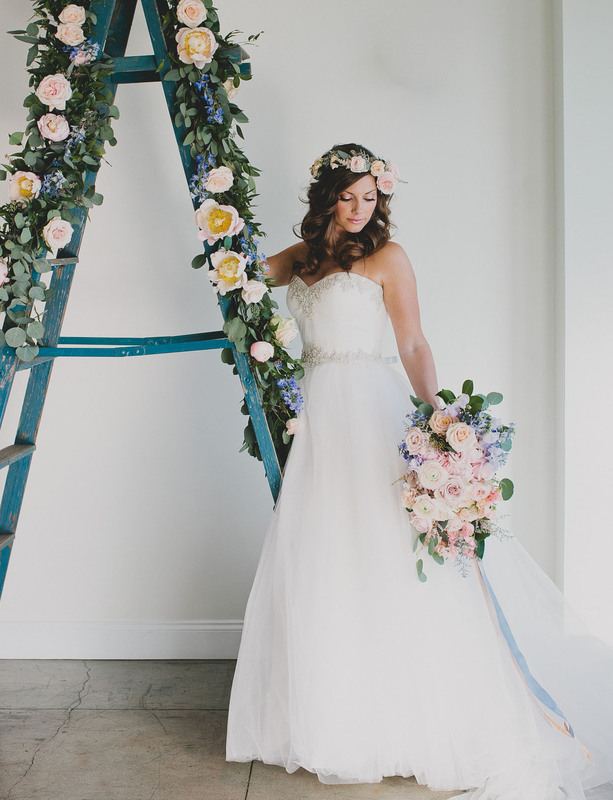 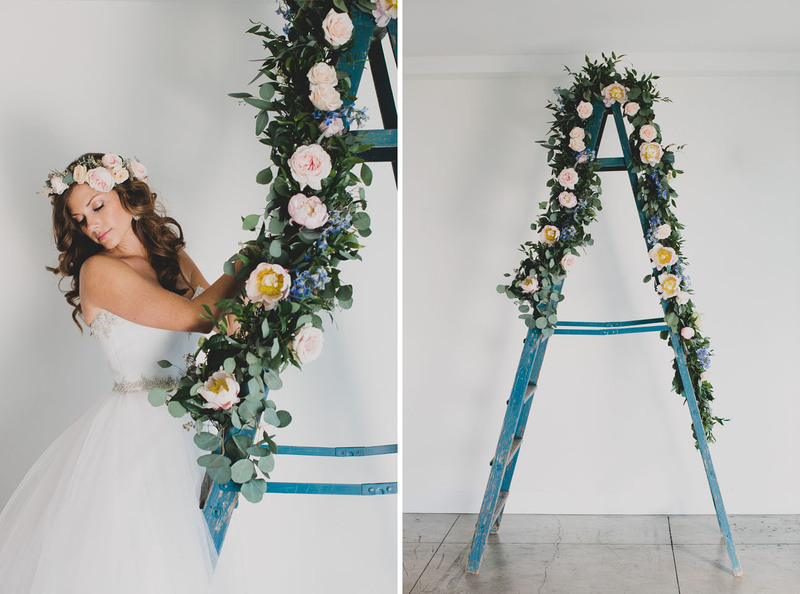 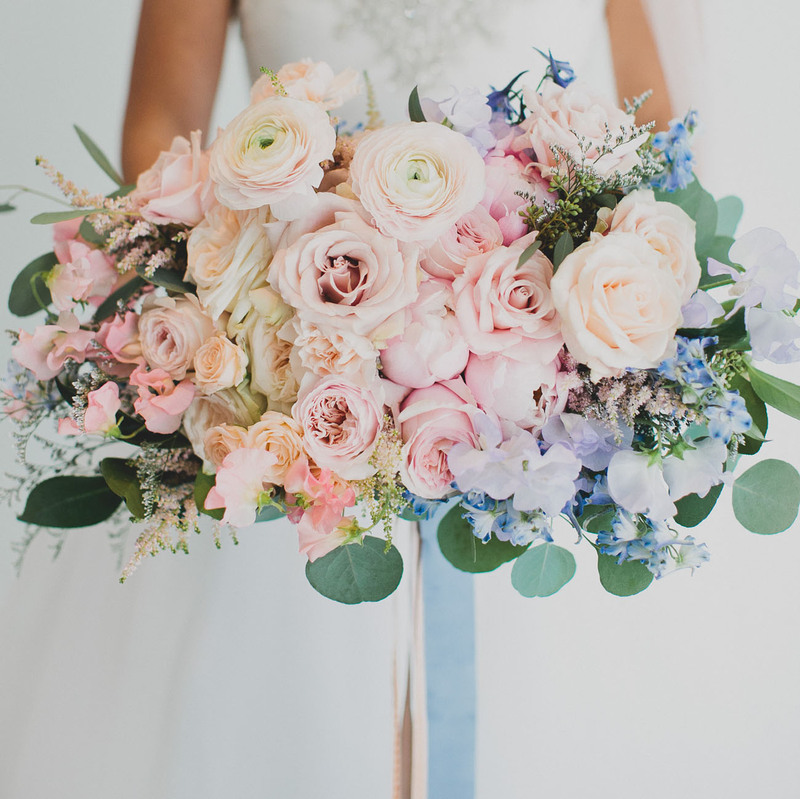 Blooms full of ruffled petals in our chosen color palette provided the base of the design: garden roses, peonies, sweet pea, delphinium, and hydrangea, amongst others. 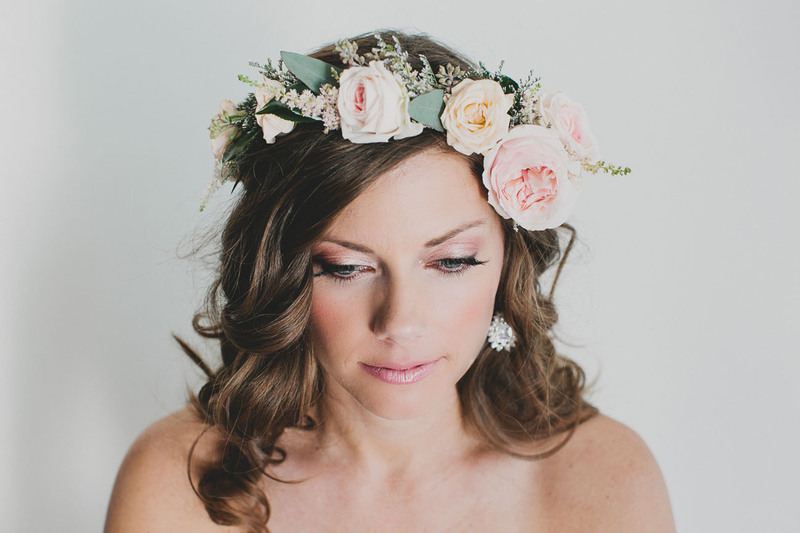 Sparkling jewelry from Petals & Stones and accents of natural rose quartz provided a bit of contrast to all the softness. 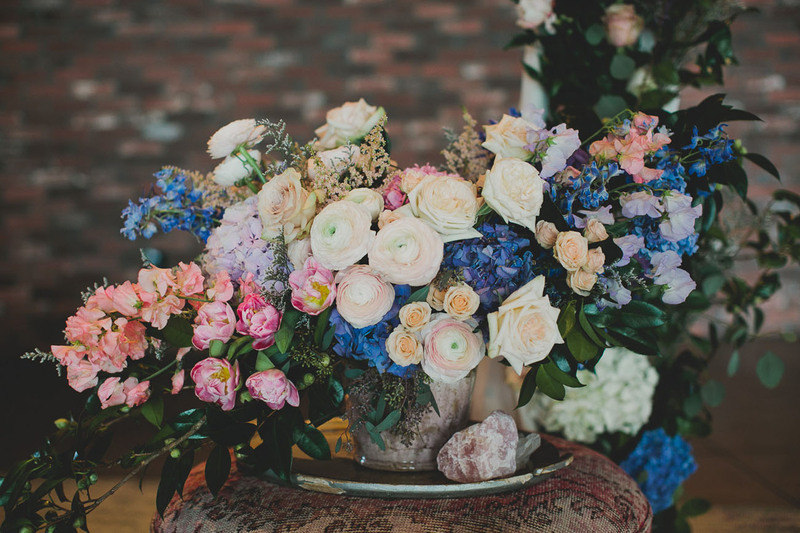 Thanks so much to our girl Katie Pritchard for the beautiful photos! 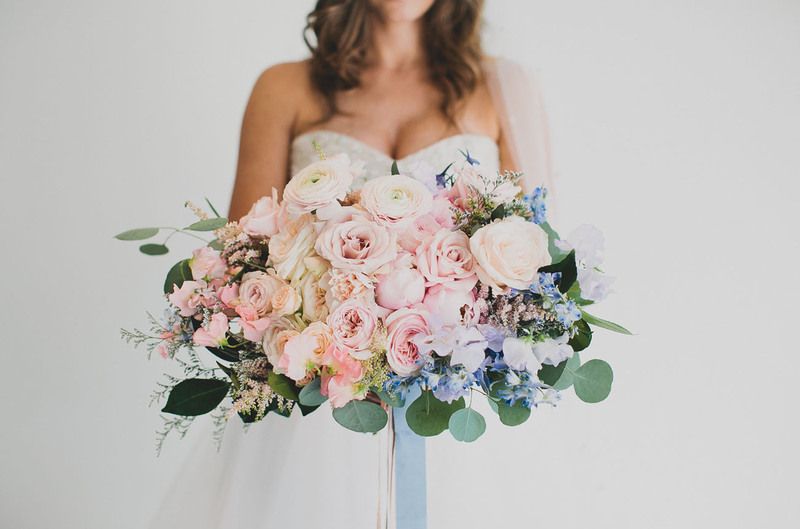 Such a picture-perfect pink + purple ombre bouquet! 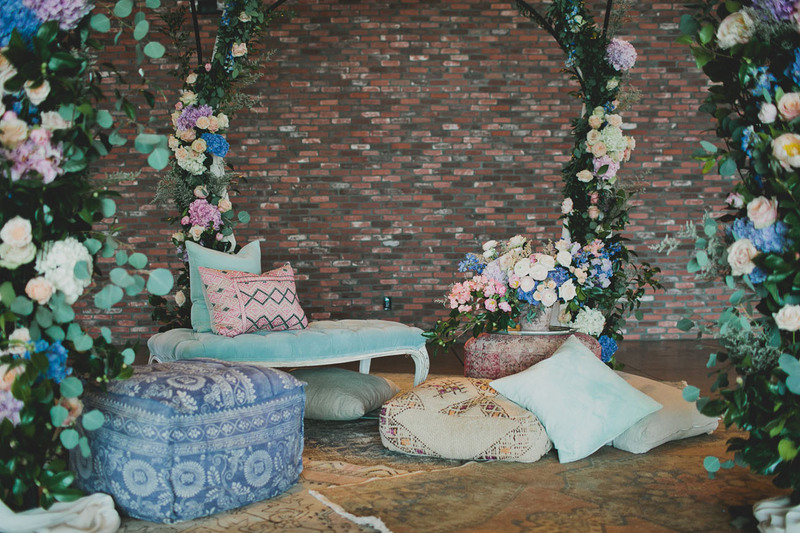 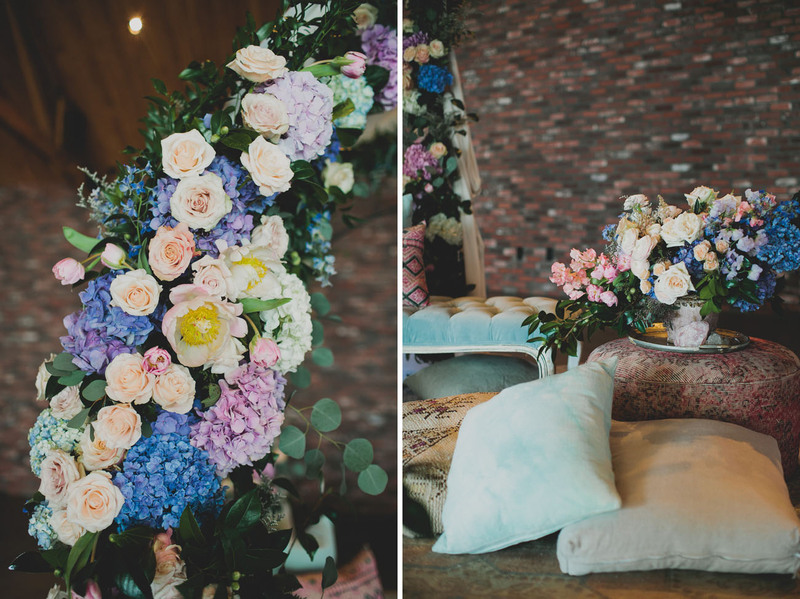 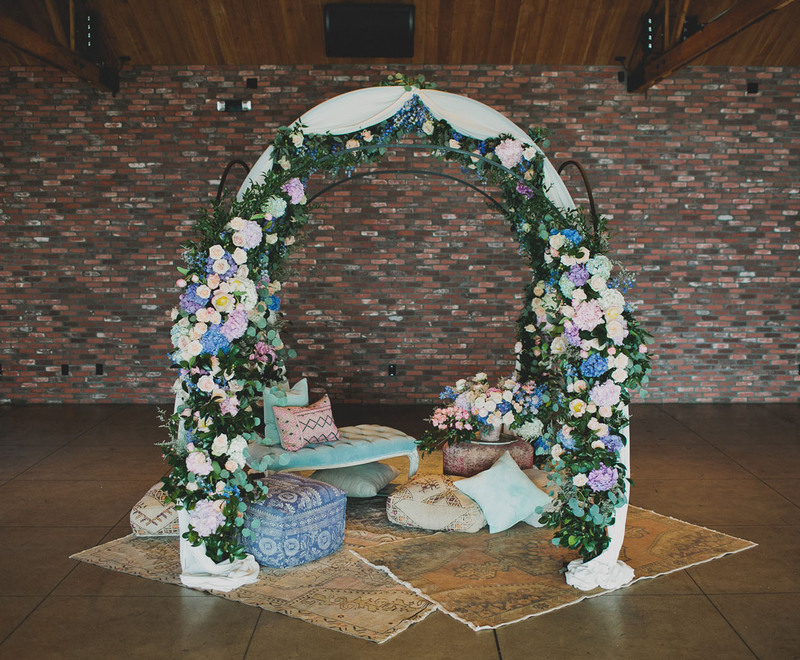 Stunning vintage ottomans and poufs from Found Rentals came together under a lush floral canopy for a dreamy lounge vignette. 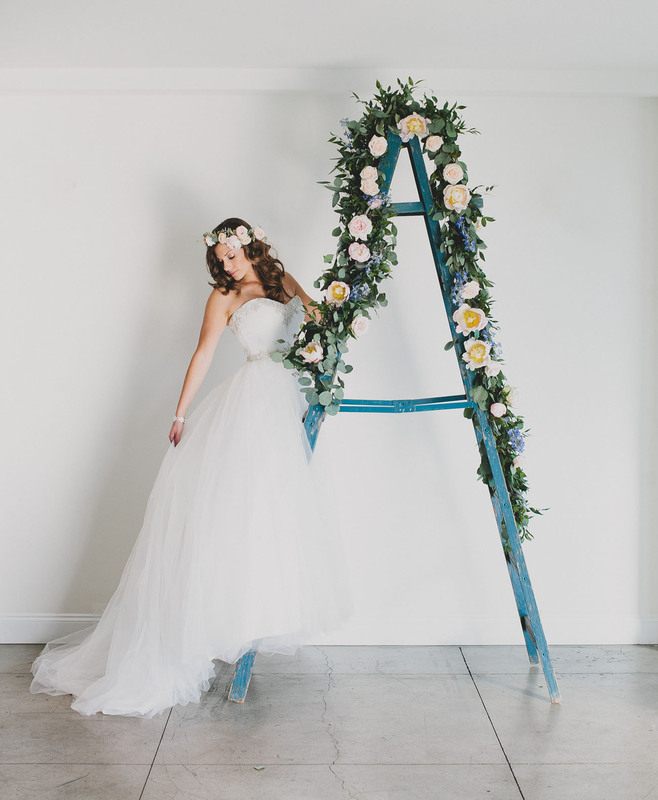 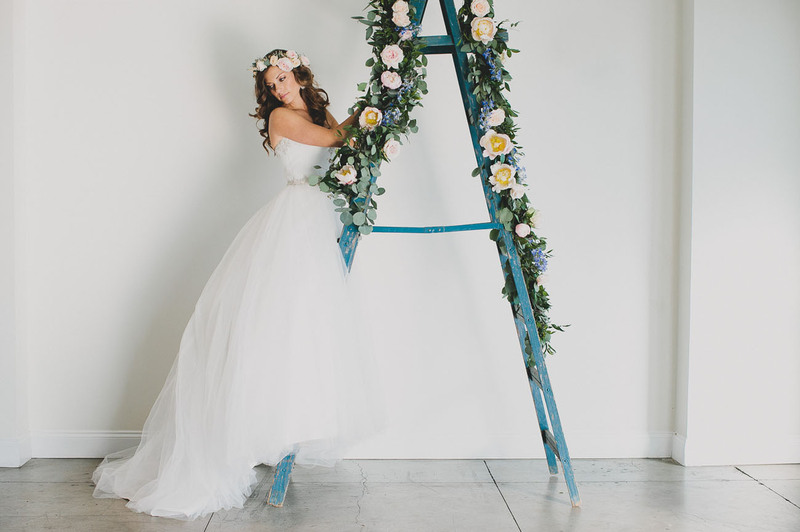 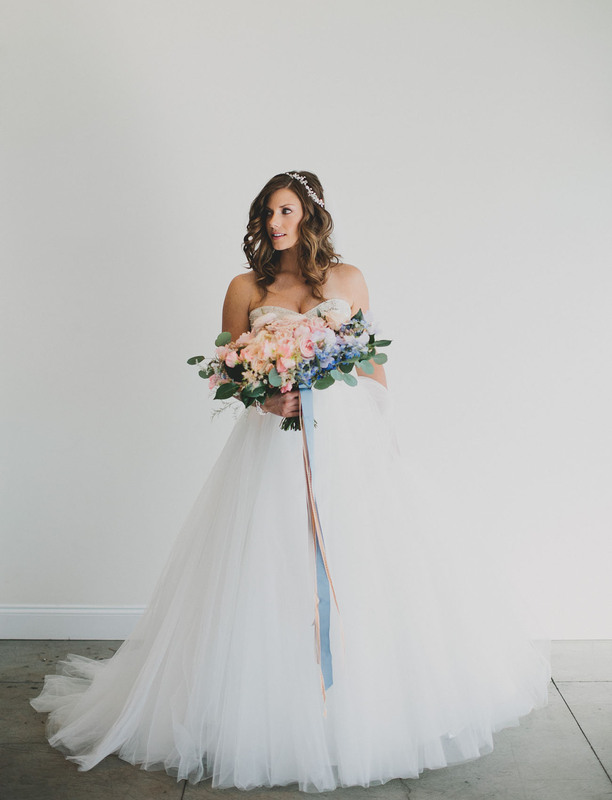 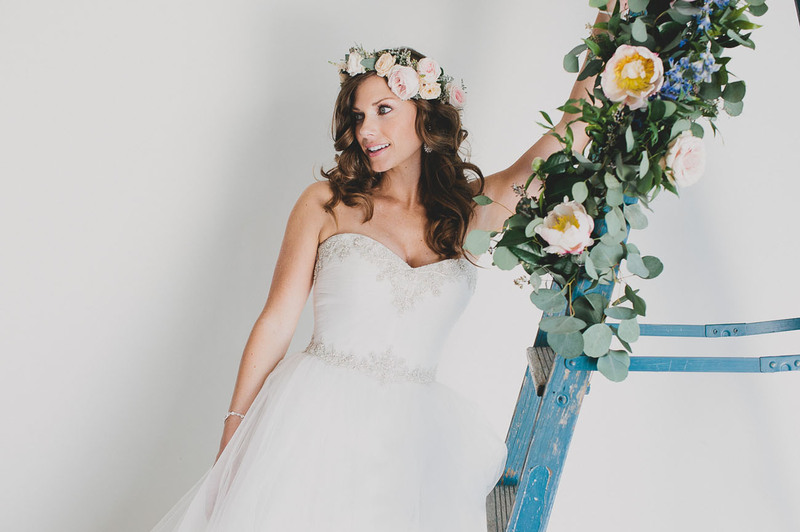 A romantic shoot calls for a romantic dress, and this full-skirt tulle beauty from Casablanca Bridal definitely does the trick! 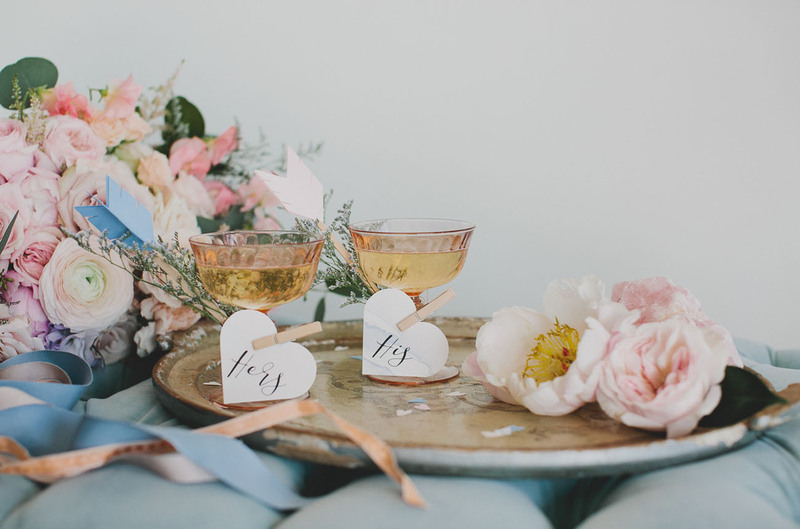 His + hers cocktails and fluffy florals…really is there anything better? 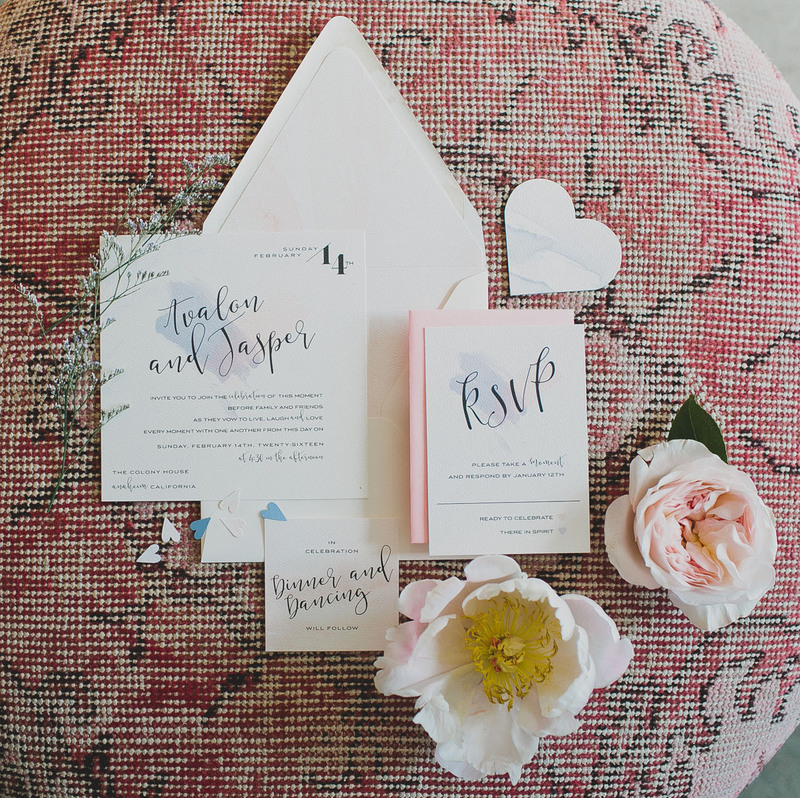 (The sweet paper goods were designed by AmpersandInk Designs). 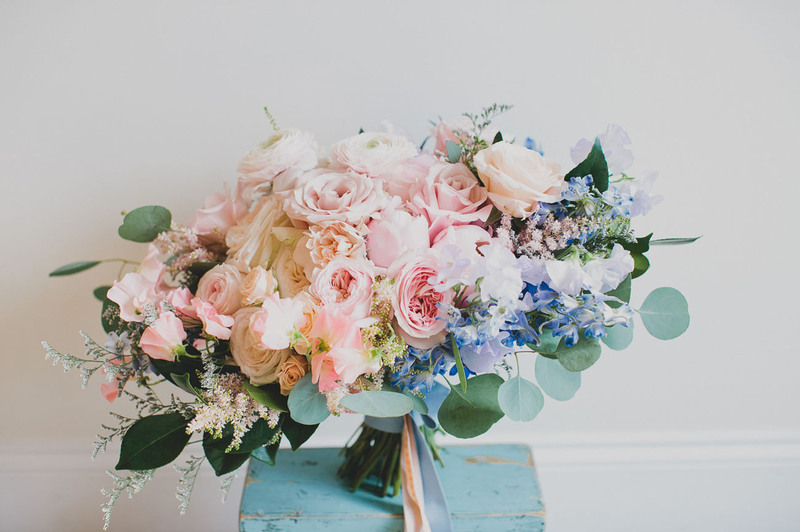 And what a way to end the beauty! 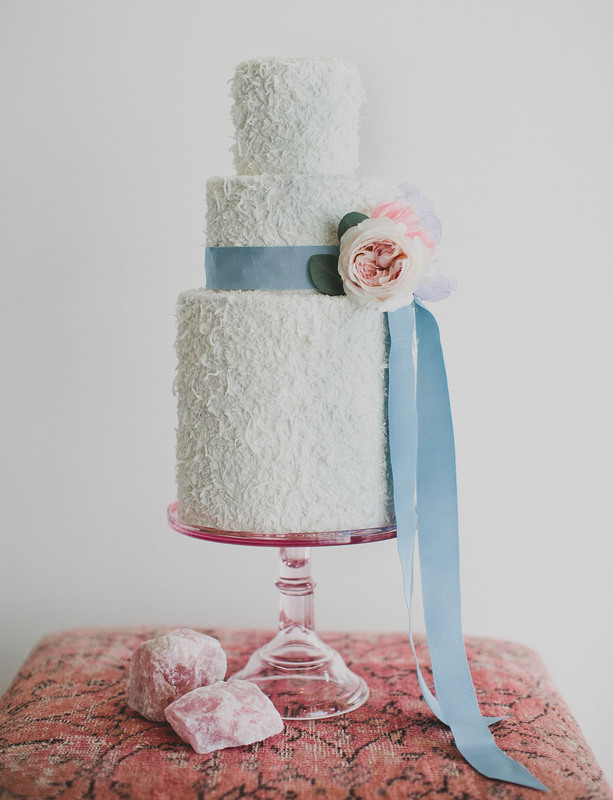 This cake by Sweet Kacy’s is just the prettiest! 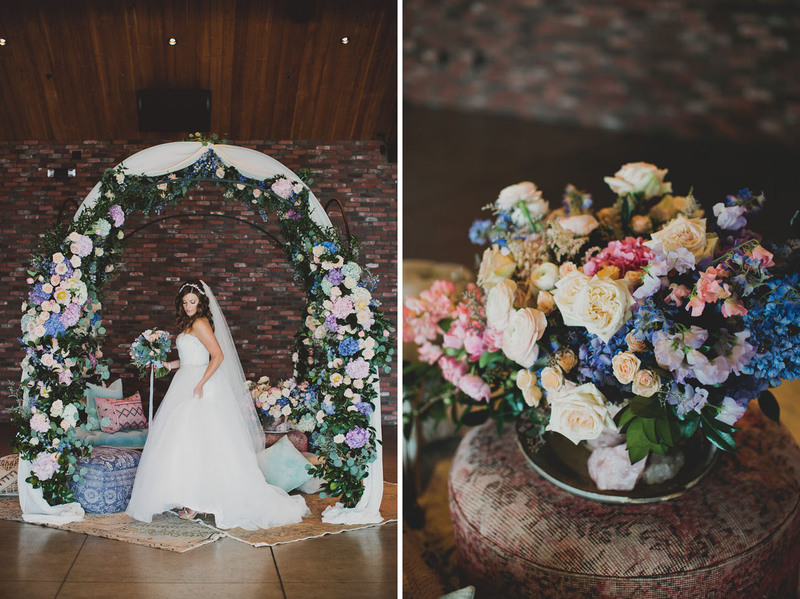 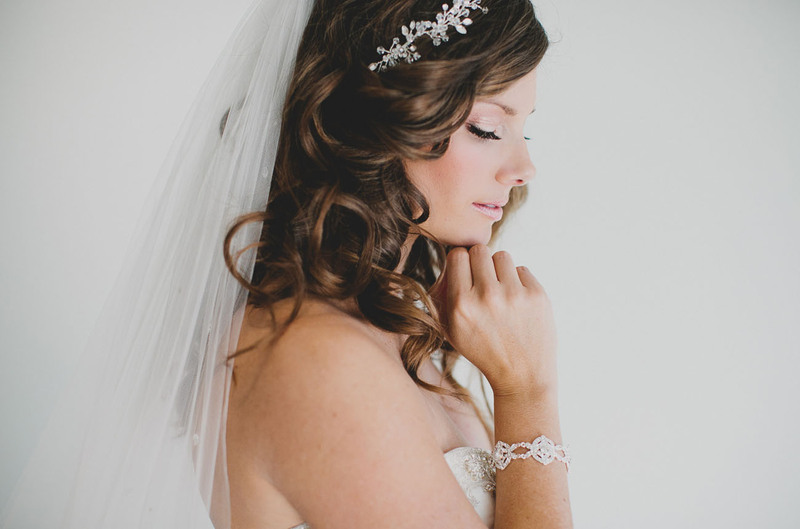 Thanks so much to the talented team below for sharing this lovely editorial today! 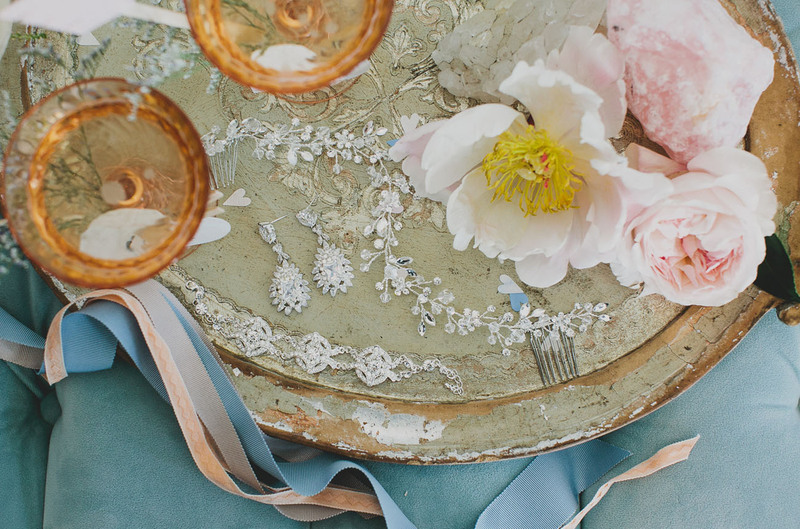 Great imagery!..and that cake is simply…AMAZING!